What can you do to help repair & keep the shorelines healthy? Plant erosion-prone slopes with native plants and ground cover. 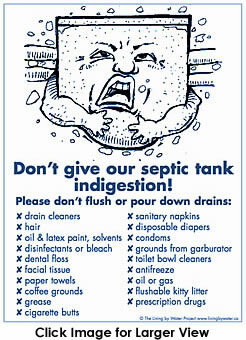 Have your septic tank cleaned out every two to five years. 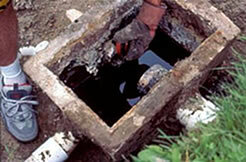 Effluent from failed or poorly maintained septic systems can contaminate groundwater. 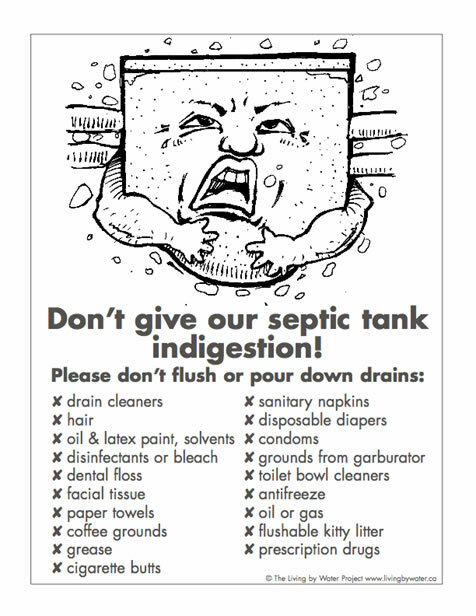 Cleaning out your system regularly saves money and prolongs the life of your septic system (which is expensive to replace these days, especially due to stringent new government regulations). Most of the homes on the lake have their septic tanks and fields within 25 feet of the lake - what would be considered illegal by today's health standards. If there is a problem with any one of those tanks or fields, poisonous chemicals, like formaldehydes and ammonia, can be introduced to our drinking water - substances that can be deadly. Additionally, non-degradable products can clog a septic system which can lead to hundreds to thousands of dollars to remedy the situation. These systems rely on the effective bacterial breakdown of all the waste that flows into them. So beware of what your pour down sinks, toilets and drains. Be aware of the "Ribbon of Life"